If you are looking for the finest of handmade leather carpets, then look no further. 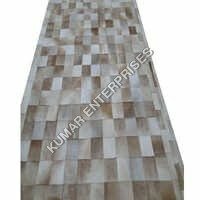 Kumar Enterprises is an ISO 9001:2000 certified manufacturing company that has become specialized in producing a variety of 100% Leather carpets. 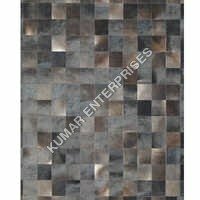 With leather carpets, one can add a touch of elegance to home, office or any other personal space. Especially, hairon carpets grabbed the attention of many due to its modern, geometrical designs. 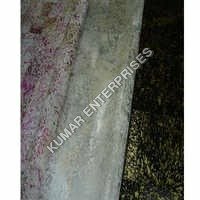 Available in a variety of colors, like pink, brown, white, silver, etc., these carpets are sold in India as well as Australia, Brazil, Canada, Europe and USA. The buyers can feel the softness of genuine hair on leather. 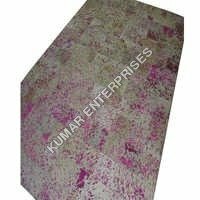 Those who do not have such beautiful piece in their living room, can buy online hairon carpet. 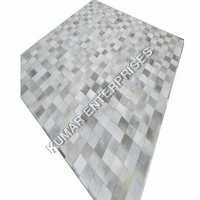 Here, you can easily browse through the collections of hairon carpets, showcased in different finishes and patch cuts.